We at Indosol Energy provide the most useful solar product ever made for low and middle income households. This provides complete lighting and table fans for the entire house at a very affordable price range. Portable, multi-purpose light that can be used for lighting homes, outdoor areas and small shops. Dual charging capability -can use either the solar panel or the AC charger(optional). How can the Solar Home Lighting Syatem be used? Solar panel lasts for 20 years. Dual charging capability -can use either the solar panel or the AC charger(optional), Mobile charging Optional. How can the Super UPS be used? 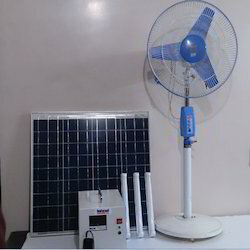 Sun bank is the most useful solar product ever made for the low and middle class house hold. 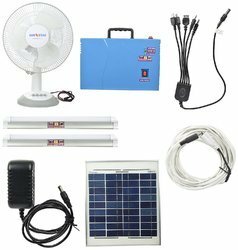 This provides complete lighting and fans solution for the entire house at very affordable price. Base station is used to solar power using solar panels and store for 24 hours. Base station can also charged with ac current during cloudy days. 1 LED light can be used in dinning area. Other led lights can be used in kitchen,reading rooms and in working places. All the appliances runs on dc. Customers are free to choose the appliances based on their budget and requirement. Back up hours varies from 6hrs and it also depends on consumption. Maintenance free and no service required. Mini Sun Bank is a multi-purpose all-in-one home lighting system provides complete lighting, fan and mobile phone charging solution. How can the Mini UPS be used? 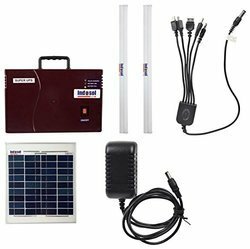 Looking for Solar Home Lighting System ?